The following is a promotional post from the New York Film Academy. We don't usually allow guest posts of this nature, but we decided for it for two reasons: 1) It goes along with the content seen on SuperPhillip Central, and 2) As the founder of this site is also a student, learning game design in school, he understands how important these kinds of university programs are. He wanted to help out by allowing this promotional post. It's important to note that SuperPhillip Central will not be a source of constant promotional material, nor do the views of this article necessary agree with our own. Oh, Nintendo. The Wii U hasn’t really panned out too well, has it? It seems the muddled launch of the console was a precursor for things to come, with sales so low that Nintendo have dropped their projections for the year by 17%. It’s hardly surprising, really, given the confusion over what features the Wii successor offers (or in many cases, what it even is in the first place). Amongst its numerous other issues, the low number of major titles in the lackluster lineup has taken its toll… but are things set to improve for the better? It seems that the releases planned for the rest of 2013 could reverse Nintendo’s fortunes of late and return them to their former glory. This is good news not only for gamers but also for developers alike; with many talented students graduating from the best game design schools this year, we’re hoping that this eighth generation of consoles provides sees the industry grow in ever innovative ways. As you can imagine from the title alone, Batman: Arkham Origins will explore the dark knight’s rise in the events prior to Asylum and City. 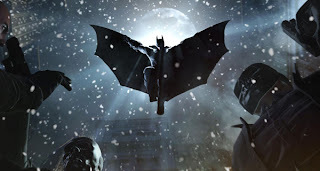 Given that the two former titles were buffed to a mirror shine (both having achieved over 90 on Metacritic), expectations for Arkham Origins are soaring in the run up to release on all the major consoles. Some worries have already crept in, however. It’s always a contentious minefield to mess with origin stories, doubly so when it comes to Batman, but an even more puzzling bit of news is that Rocksteady Studios – the developer behind the first two stunning games – will not be involved in the project. That said, the new team are said to be sticking with the Unreal engine in an attempt to keep the aesthetic design consistent, so it doesn't sound like they’re going to try to reinvent the wheel. But assuming we’ll see consistent quality with the third title, we’ll be treated to a great origin story which predominantly features Penguin and the Black Mask as main villains (although which Black Mask is not yet clear). It’ll also be interesting to see how the GamePad will be integrated on the Wii U port – since the series has thus far included some (surprisingly good) quick time event-based gameplay, it could translate incredibly well. 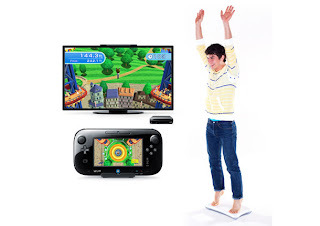 Although its name couldn’t be any more awkward, we’re looking forward to the improvements Wii Fit U are set to deliver over its predecessor. In addition to a range of new mini games and routines, the Wii Fit U is reported to have a whole new fitness category in the form of ‘Dance’. That’s certainly going to be a hit given the number of dance-related games on the Wii, but even more noteworthy is the fact that you’ll be able to play solely on the GamePad. This is a major plus for anyone who struggled to clear a space directly in front of the TV! While the first three Angry Birds games have been out for some time now, we can’t see anyone balking at paying $40-ish for the bundle package given how utterly fun they are. 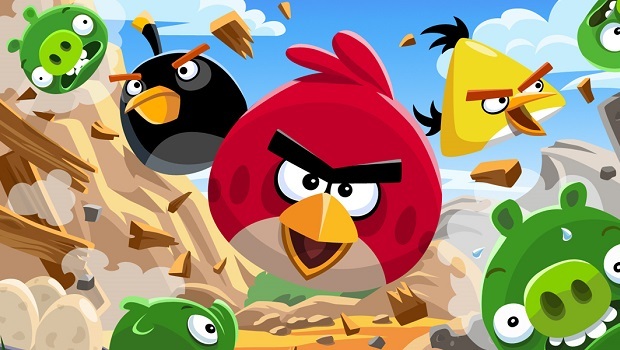 If you enjoyed playing Angry Birds Seasons on your iPhone, you’ll love it on the big screen in all its 1080p glory (especially with GamePad playability thrown in for good measure). When Rayman Origins came out in 2011, it heralded an explosive return for the franchise which, although always well received, never gained much of a mainstream foothold. Origins was so highly reviewed that 1UP.com dubbed it ‘the best 2D platformer not called Mario’, and rightly so. 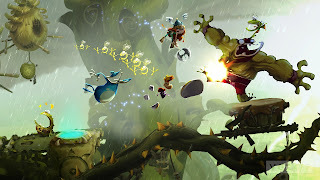 Rayman Legends will follow on from the titular disembodied character’s success in September this year. It was originally slated to be a Wii U exclusive, but it now being released across all platforms. If the prequel is anything to go by, this is definitely one to keep your hopes up for. Very few, if any, details about the Wii U’s own Mario Kart game exist, but suffice to say this wouldn’t be a list of ‘Most Anticipated Wii U Games’ if we didn’t at least mention it. For the most part though, don’t expect too many surprises. Since the format ain’t broke, there’s no point fixing it so here’s to more of the same Mario Kart fun we’ve been waiting for. The continuity of the Assassin’s Creed franchise is getting as muddled as the series is popular, but that doesn’t stop us from looking forward to the next full follow-up which will take place as a prequel to Assassin’s Creed III. Or a sequel. Or both, technically. 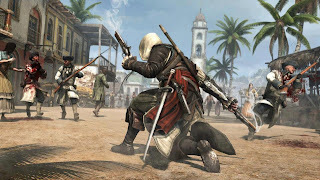 This time we’ll be taking to the high seas in the 18th Century Caribbean as Edward Kenway, who has a vague blood tie with Desmond Miles in the modern day. Aside from the usual two-intertwining timeline plot we’ve grown used to, developers have stated that Assassin’s Creed IV will completely turn the series on its head (both in terms of setting and gameplay). Exactly how they’re doing this remains to be seen, but it’s sure to be a welcome flagship title in the Wii U’s arsenal.